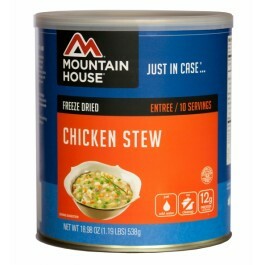 Each #10 can of chicken stew from Mountain House provides you with ten full servings of stew for you and your family. It is extremely quick and easy to prepare, simply adding in the required amount of hot water. You can make the entire can, or only what you need. This is a perfect addition to any food storage program, or even a great way to start one out. Since it will last 25 years on the shelf prior to being opened, you won’t have to worry about it going bad before you can use it. 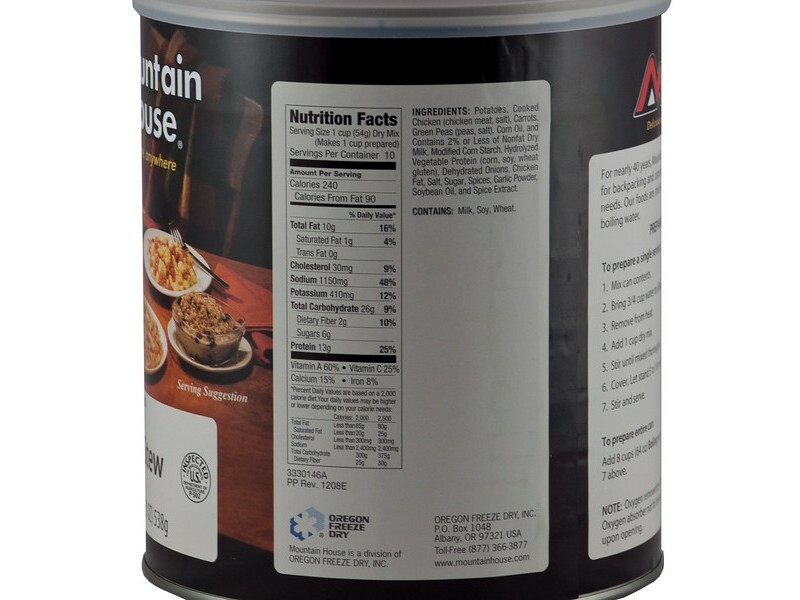 Of course, like all Mountain House products, it has an incredible taste too! 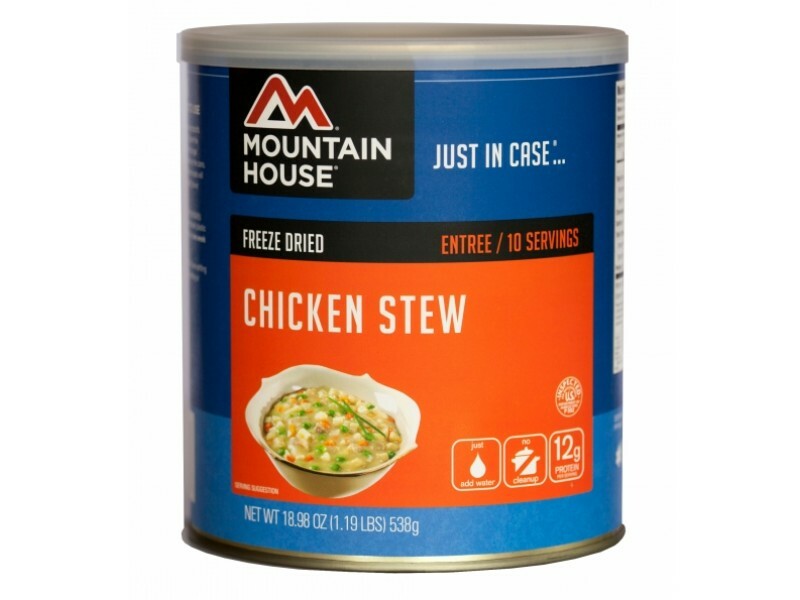 Anyone who is looking to start out, or add to, an emergency food storage program in their house will want to make sure this #10 size can of chicken stew is on their list. The stew has a thick cream sauce, large chunks of real chick and a variety of different vegetables, making this long storage life product both healthy and delicious. 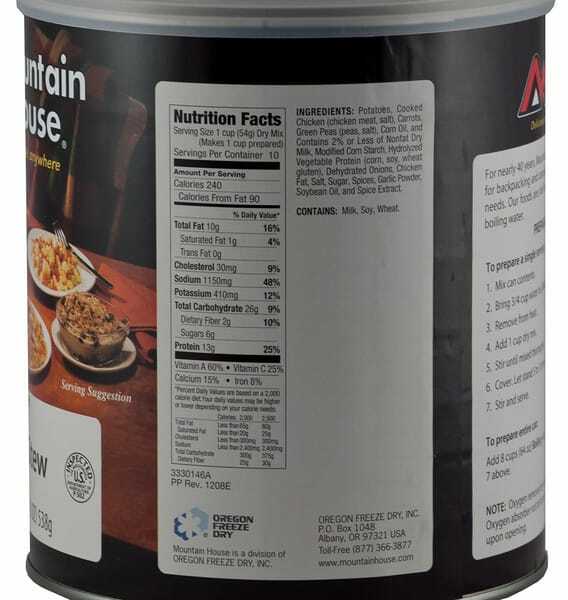 One of the best things about this item is that it has all different vegetables and other foods in it, so each serving offers a variety of great vitamins, minerals and other essential nutrients. These are, of course, extremely important during any type of disaster or emergency. The convenient #10 size cans are also perfect for long term storage, because for how much food is in them, they really don’t take up too much space. You can stack these cans up if you order more than one of them, making them even more easily stored. They will also easily fit into any box or bag to take with you anywhere. Take them along on a camping trip to ensure everyone has plenty of food to eat. Since the preparation is so simple, you can really take it anywhere and enjoy it anytime!